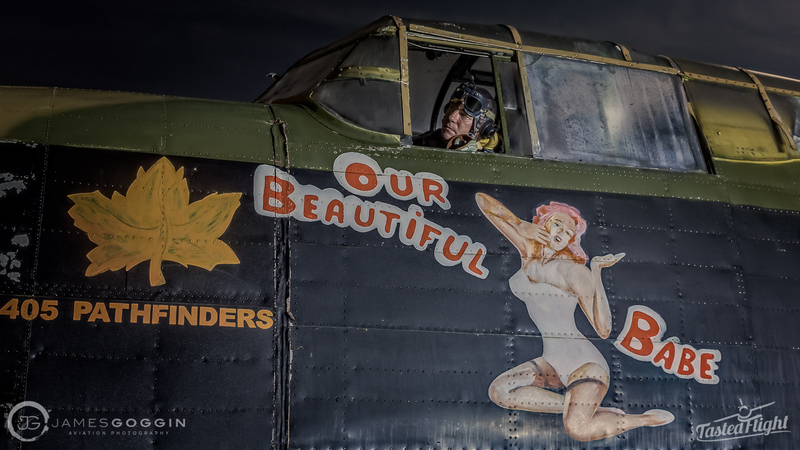 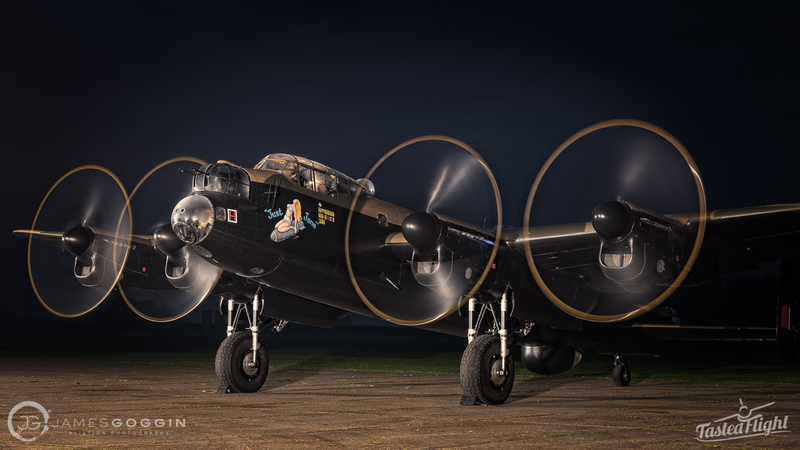 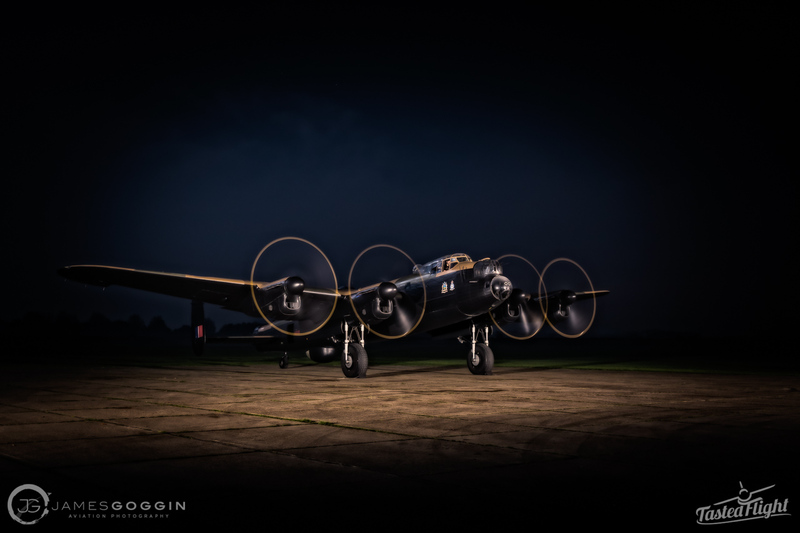 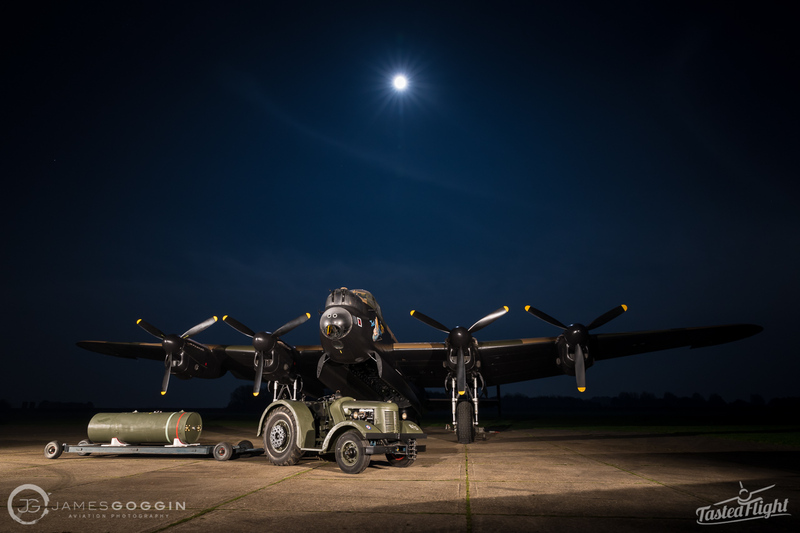 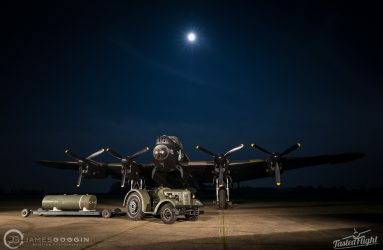 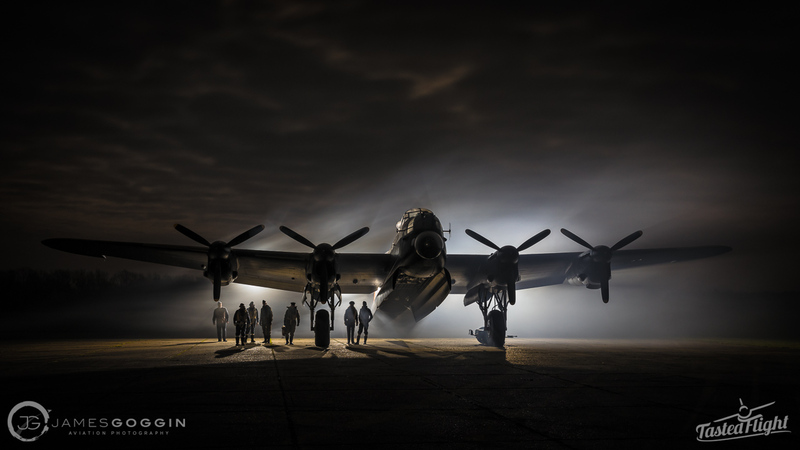 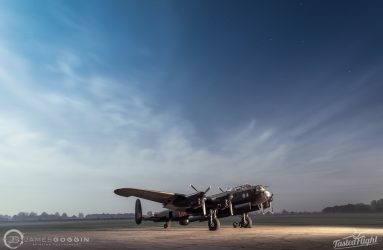 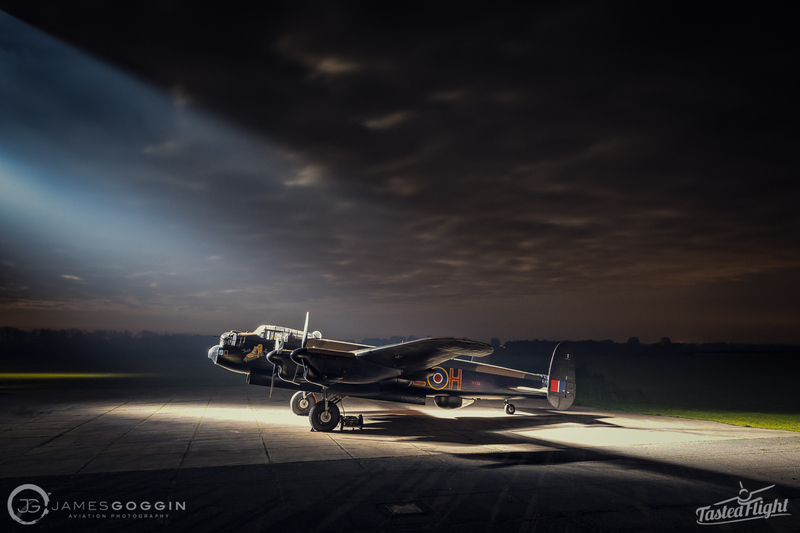 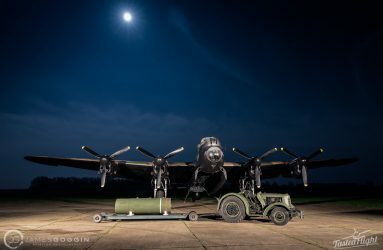 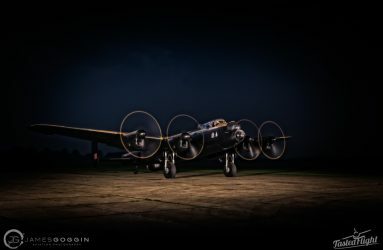 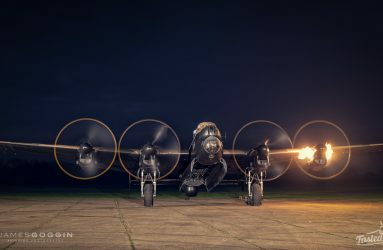 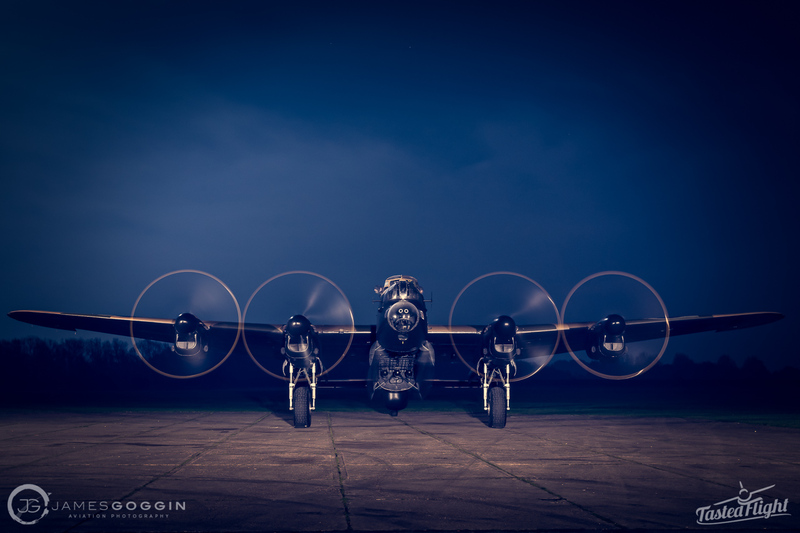 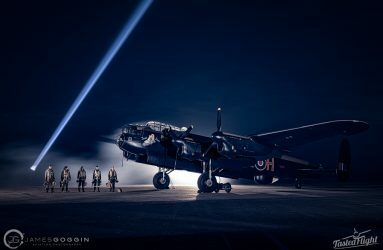 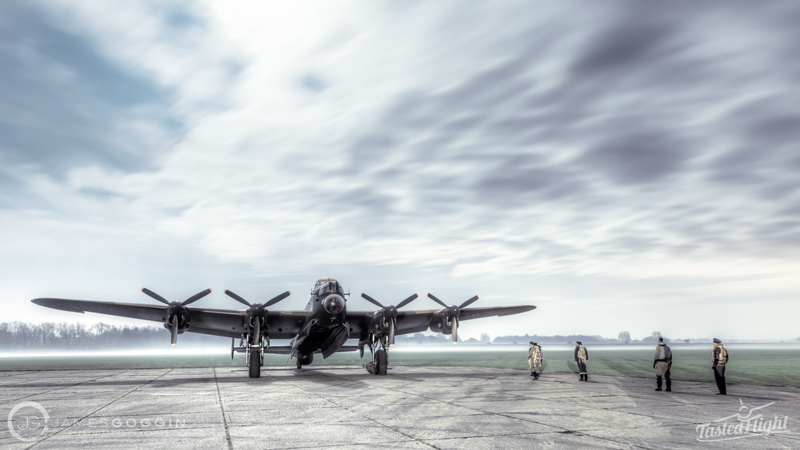 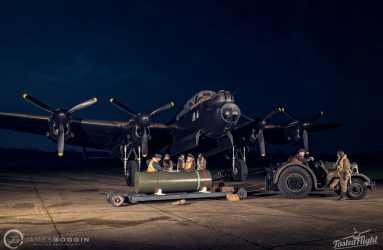 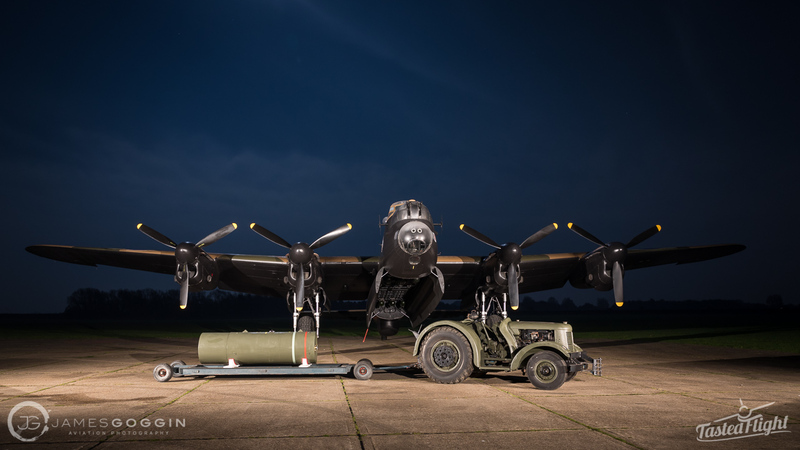 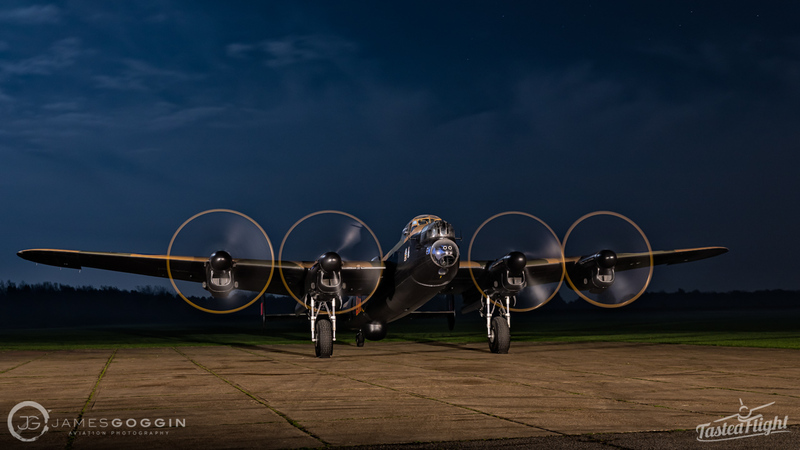 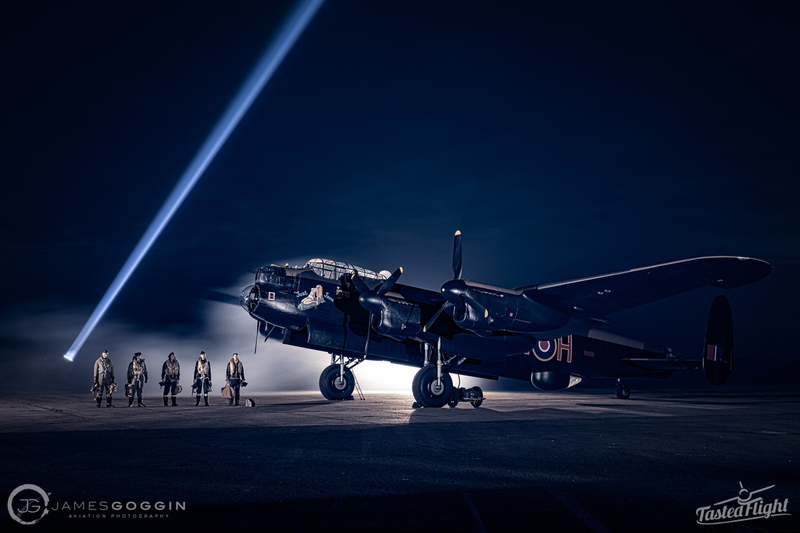 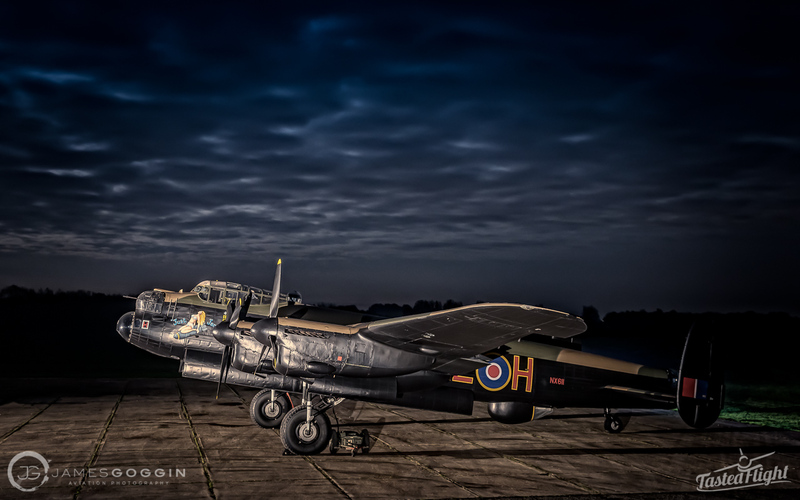 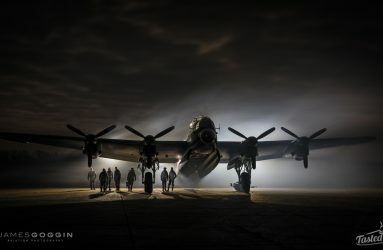 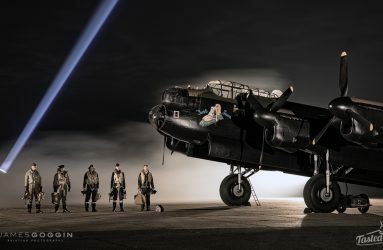 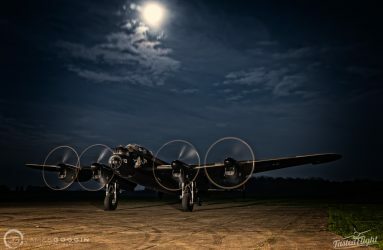 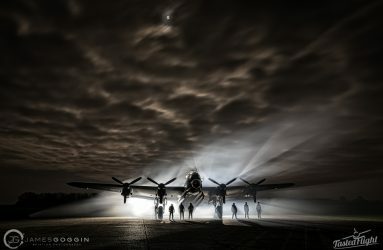 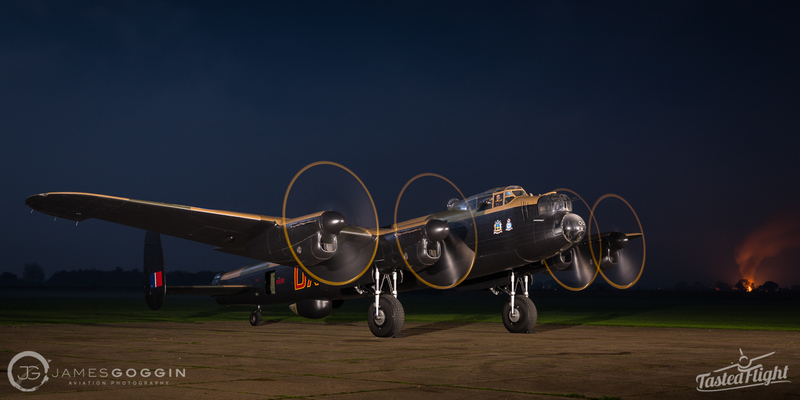 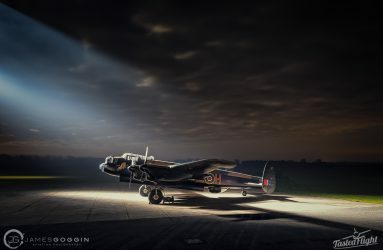 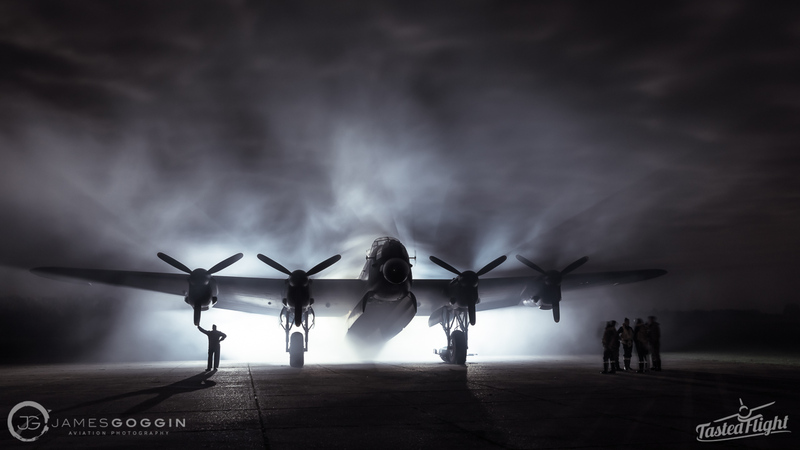 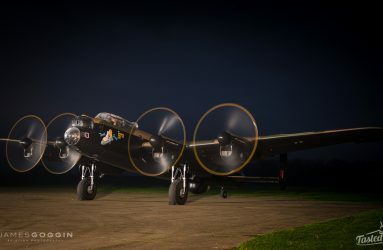 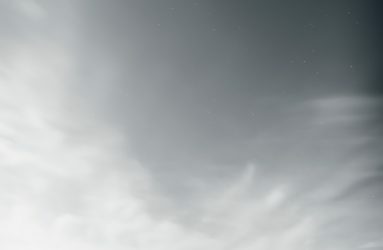 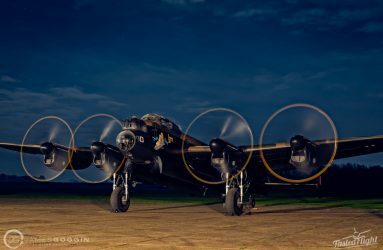 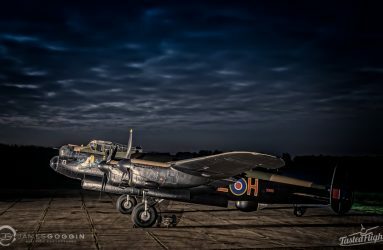 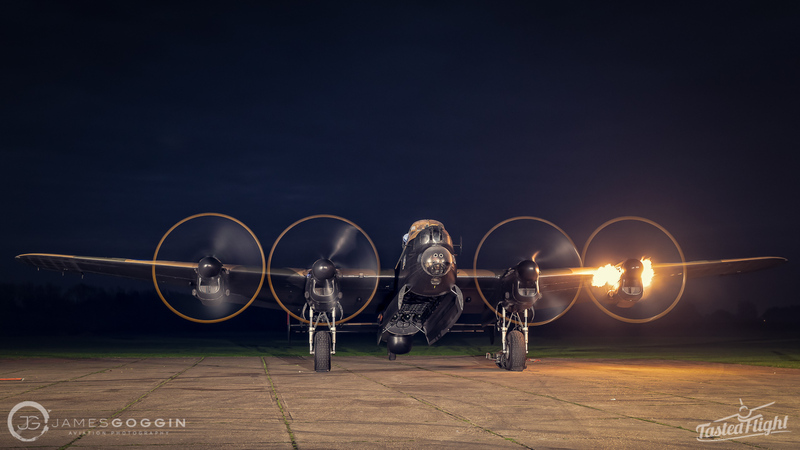 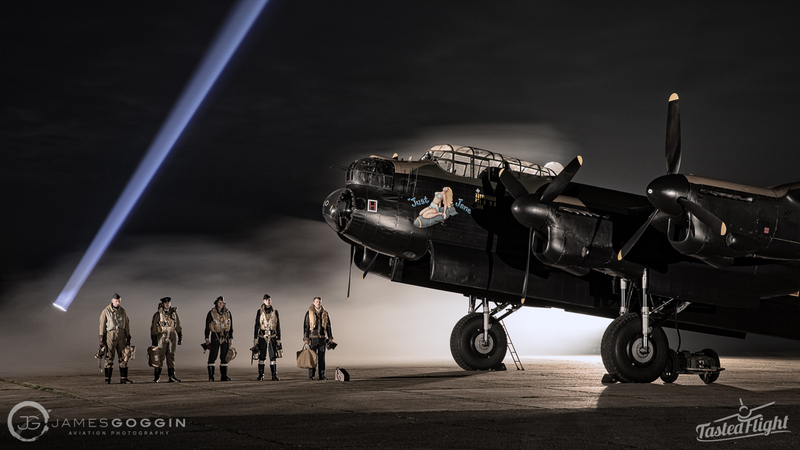 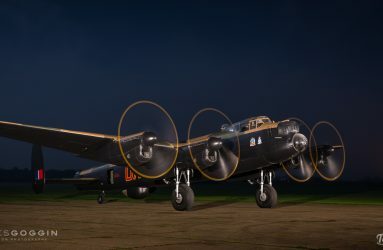 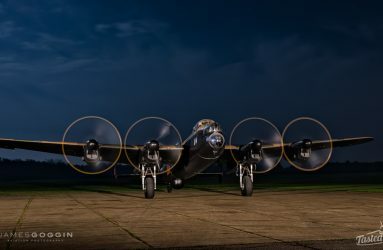 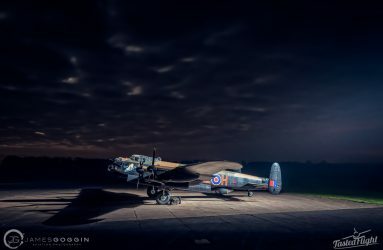 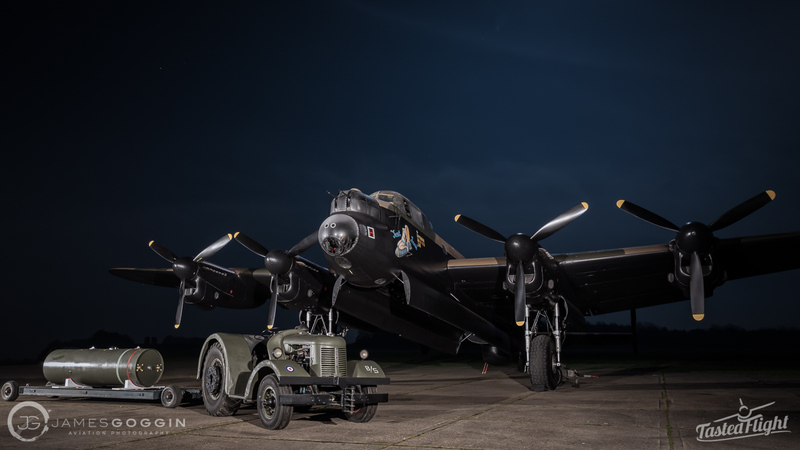 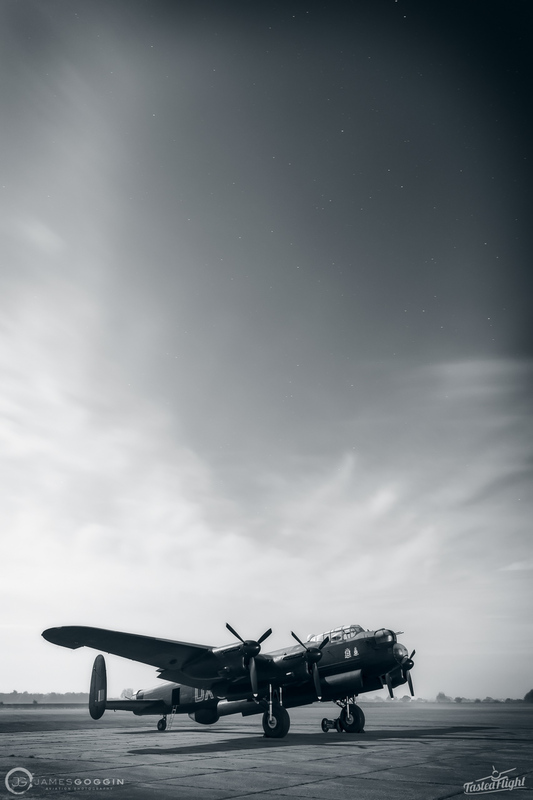 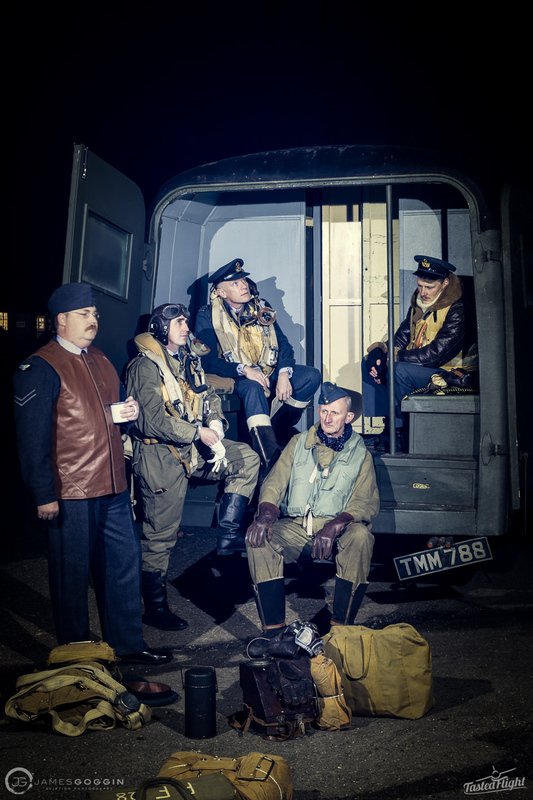 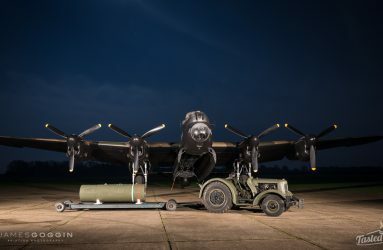 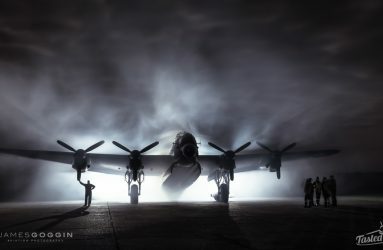 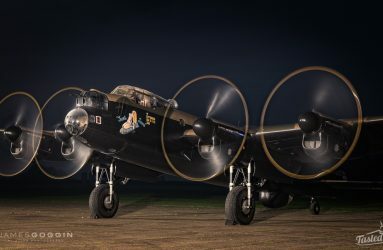 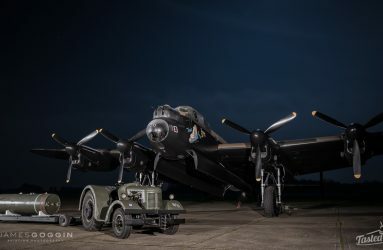 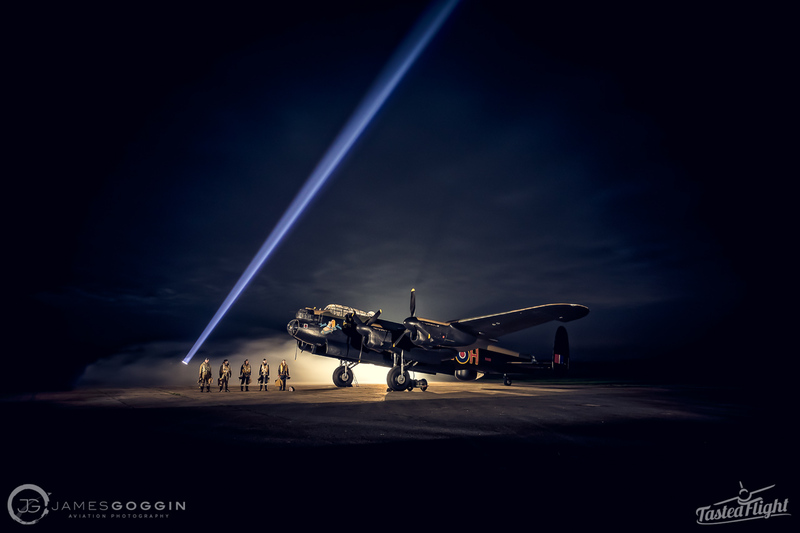 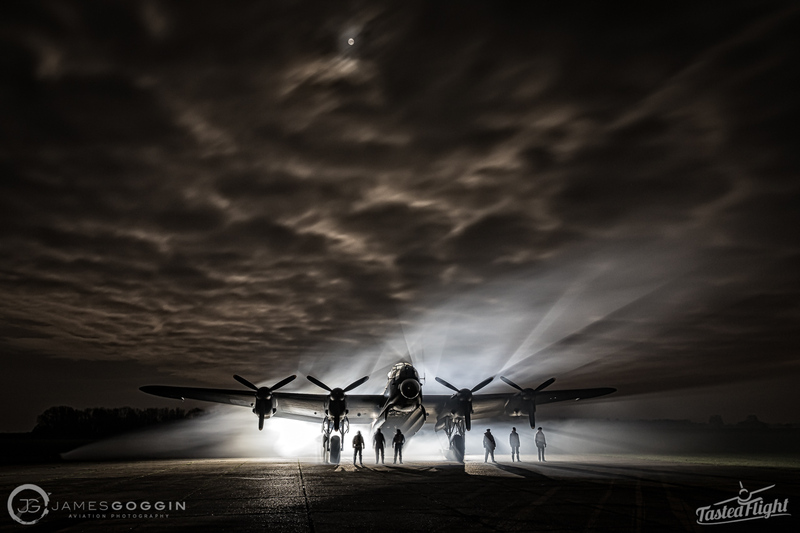 Within this portfolio you will see two images in which NX611 is illuminated from above. 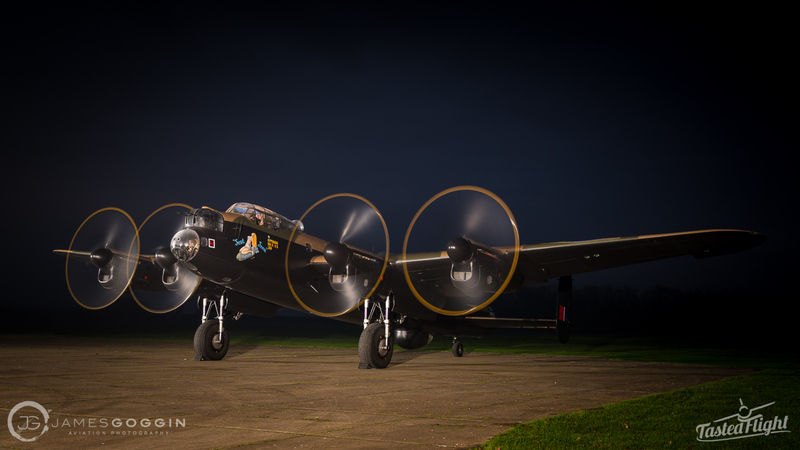 We were lucky to have the Nottinghamshire & Lincolnshire Air Ambulance visit the airfield on a training flight and they kindly used their searchlight to provide some extra illumination. 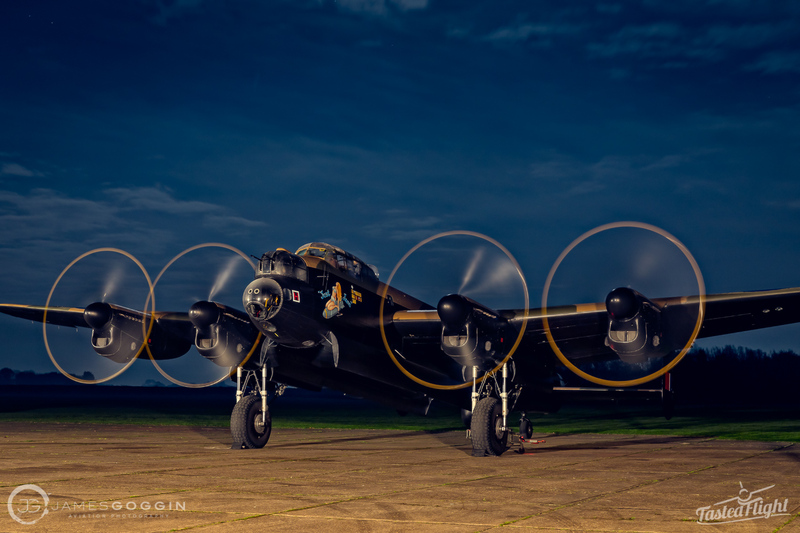 They effect was quite stunning…. 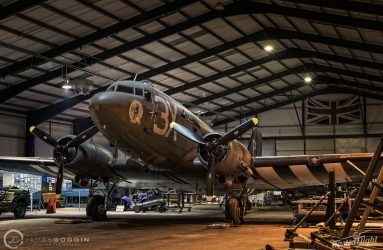 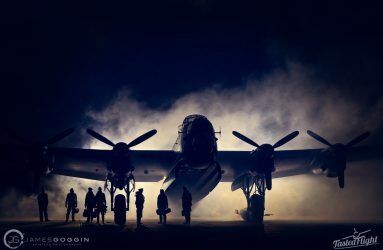 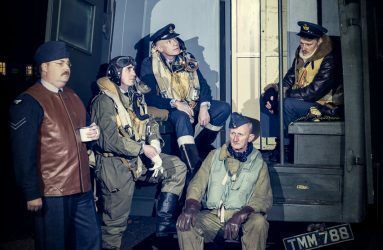 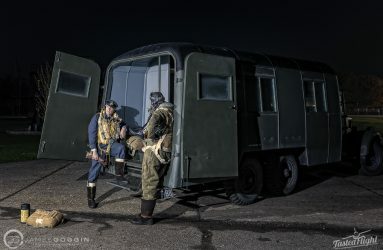 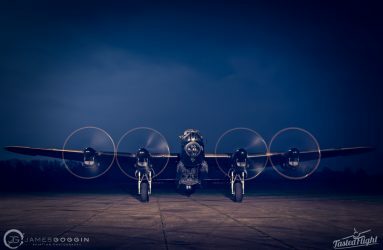 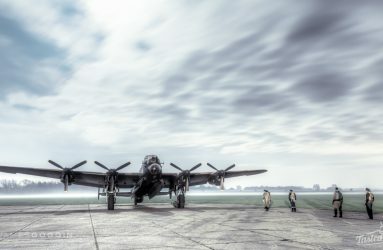 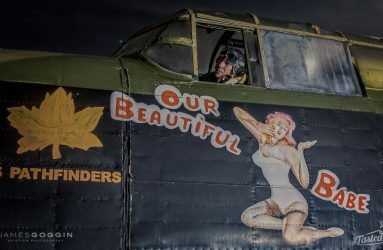 Location: Lincolnshire Aviation Heritage Centre, East Kirkby, Lincolnshire, UK.